Storage and Interior Concepts based in Melton Mowbray, Leicestershire have just launched the new cupboard walling corner unit. 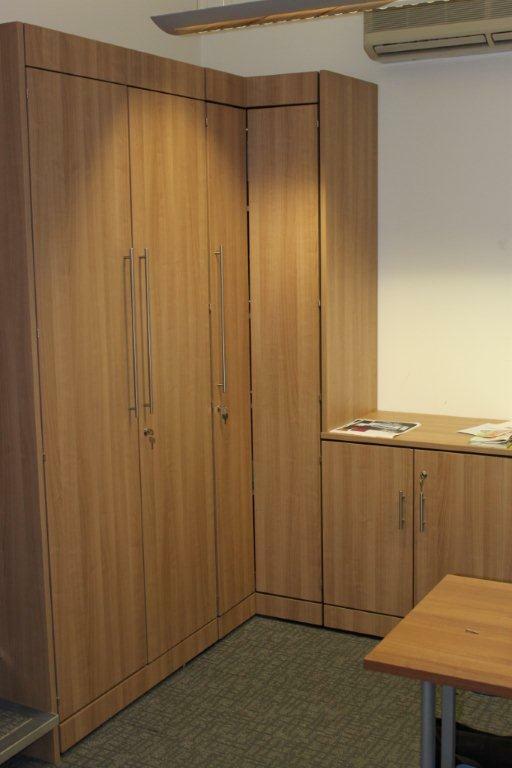 Cupboard Walling is an ideal solution to maximize the space within your office environment, and can be fitted to work alongside other office furniture. 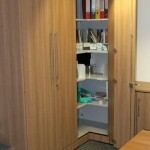 Cupboard walling can be used to separate offices, meeting rooms or corridors. 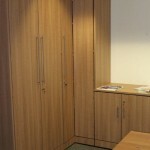 Cupboard Walling is installed up to the existing office ceiling to give a flush neat appearance for your working space. Various internal accessories are available to use with the walling, these can include pull out filing, lateral filing, shelves, hanging garments and so on. 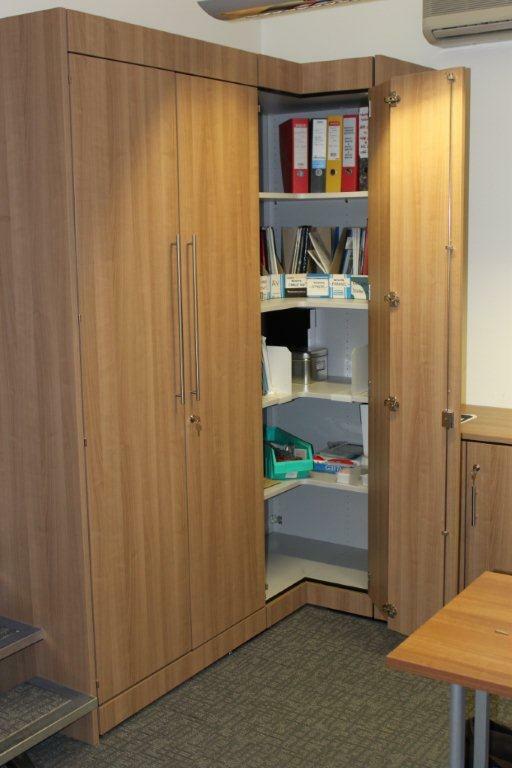 The cupboards can be supplied in various colours to enhance your office environment and together with our demountable partitioning we can provide designs for any office environment. Visit our showroom in Melton Mowbray to view the complete range or alternatively call Storage Concepts on 01664 41014 to discuss all your office furniture requirements. Storage Concepts – making Space Work Harder for you.